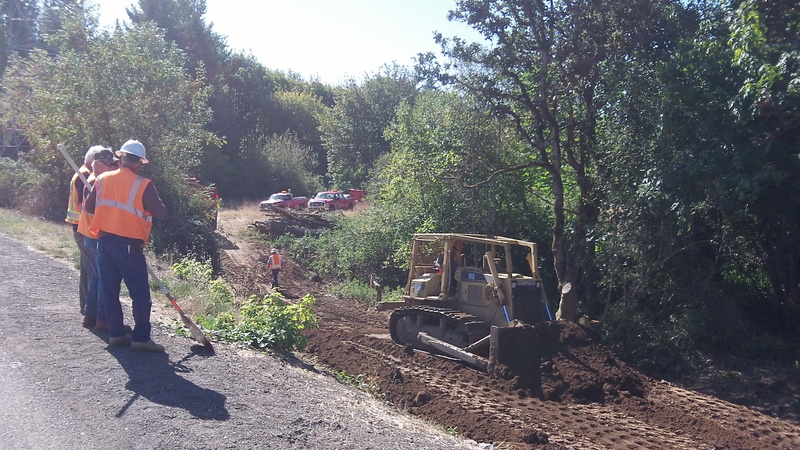 No, that’s not a new road down to the Calapooia River that the Linn County Road Department is building here. 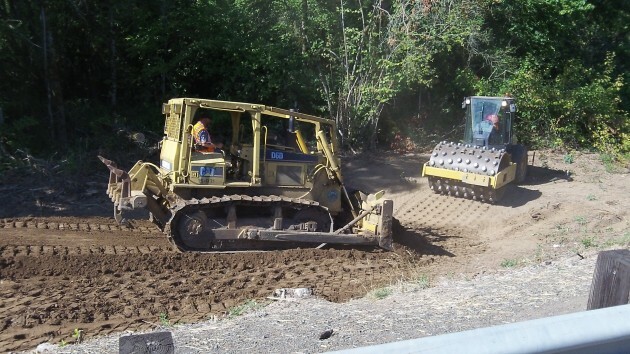 It’s a project to build up a well-compacted area where Pacific Power can set new poles. Linn County Roadmaster Darrin Lane explains that for years, whenever debris built up in the river at this bridge during winter storms, the county had trouble getting the debris out. Overhead power lines made it difficult to move in a boom truck for the job, necessary to protect the bridge, near the west end of Queen Avenue. So whenever the need arose, to be safe, the county had to ask Pacific temporarily to kill the power on those lines. Now, the county and the utility have worked out a better solution. Pacific will move its line out of the way, to the downstream side of the bridge. But before that can happen, the road department is building up the site so the utility will have a pad of the proper elevation to put its poles. The work began some weeks ago with the removal of riverside trees. The county’s part should be done in a day or so.